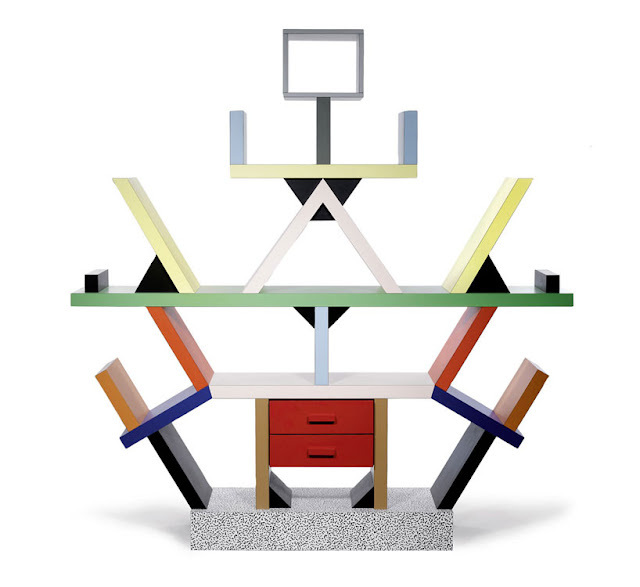 Ettore Sottsass has had a very prolific and interesting life, I really would like to go into details but the aim of my blog is to inspire you and to spark interest in you not to write design history lessons, I suppose. 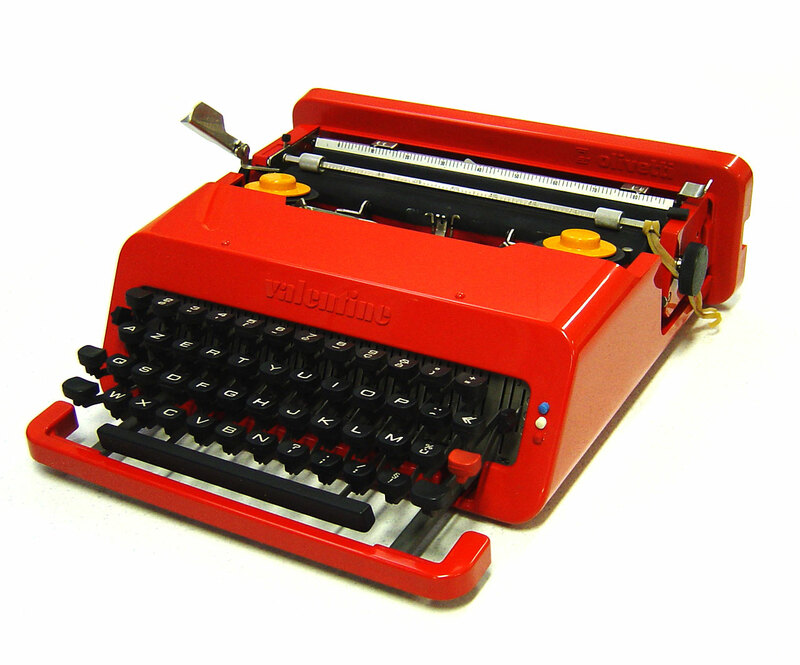 I will be short and I will just say that Ettore Sottsass, born in Austria but brought up in Italy, started his career in Olivetti, an office equipment company, for which he designed some iconic objects like the amazing typewriter pictured below, the look of which was revolutionary at the time. In 1980 Ettore Sottsass and other 14 really creative minds joined together and formed a design cooperative called the Memphis Group. 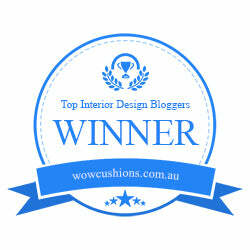 Together they created epocal furniture inspired by the Pop Art and they took by storm the interior world. 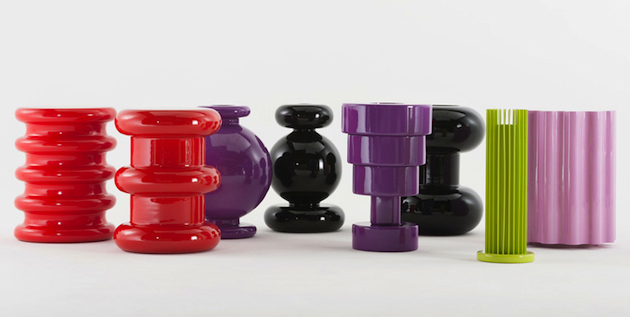 Ettore Sottsass‘s work still deeply influence the contemporary designers, above all now that the Eighties are back in fashion. 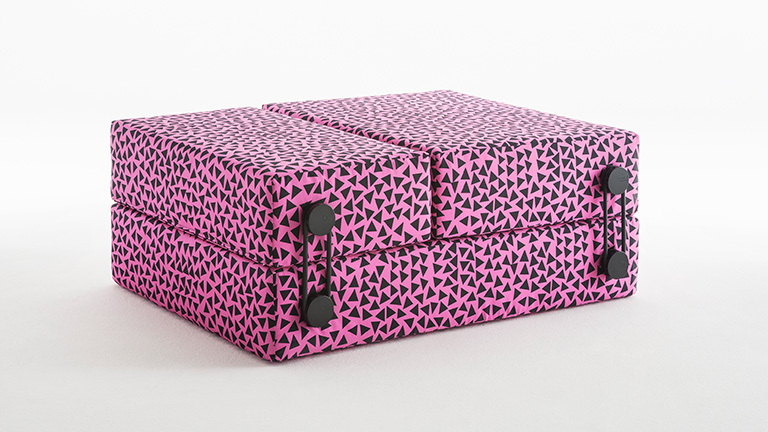 Camilla Walala–just to quote- is undoubtedly inspired by the Memphis Group patters and colors. One of the latest Kartell’s capsule collection named “Kartell goes Sottsass, A tribute to Memphis” pay tribute such an important part of our history and the result is, as usual, a lot of fun (see the Mademoiselle chair below, the Trix day bed and the bright-colored line of the occasional tables and vases). Valentine type-writer, what a coincidence!